Lately I’ve been doing a whole lot of work on myself and my business. I’ve learn’t the importance of self love and striving to always be the healthiest and best version of myself. With valentines day at our door step, the theme of love is in the air. I can feel it! The thing is, that really, loving others is actually about loving yourself first. 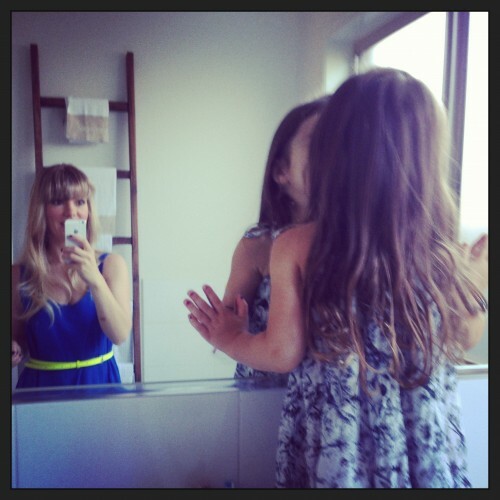 Just last week, my daughter was standing in front of the mirror checking herself out. During that time, she studied her face and gently leaned forward and kissed the mirror. Realising how funny it was, she did it a few times and then looking herself straight in the eye in her reflection stated, “my name is Olivia and I love me!” My heart literally skipped a beat. No reservations, no inhibitions and certainly no vanity expressed – she loved what she saw. And what wasn’t to love? But what’s more, for me as a mother was the certainty in her voice. Olivia loved herself (and still does), allowing a huge amount of love for others because she was so secure in who she was. Now Olivia is 5 and I can hope that that self love continues to grow forever and a day. Self love is the most important element of any successful healthy transformation. You’ve already seen Jess (below) on the site this week – and this beautiful woman oozes self love, so much so, she wants everybody to have the chance to discover what their full potential is. In the theme of Valentines Day, Jess is giving away FREE access to Step 1 (the self love step) of her Lifestyle Transformation Guide coaching program. This offer will only be available for three days, until midnight Friday night (Australian EST) so go here to claim it now. If you want to know more about her program – check it all out here.